What is ventricular tachycardia (VT)? Ventricular tachycardia (VT) is a fast, abnormal heart rate. It begins in your heart’s lower chambers, called the ventricles. VT is defined as 3 or more heartbeats in a row, at a rate of more than 120 beats a minute. If VT lasts for more than a few seconds at a time, it can become life-threatening. The rapid heartbeat does not give your heart enough time to fill with blood before it contracts again. This can affect blood flow to the rest of your body. Who is at risk for VT? In rare cases, VT occurs when there are no other heart problems. What are the symptoms of VT? When you have VT, your heart beats very fast. This may only last for a few seconds. Longer episodes are dangerous. The heart beats so fast that it can’t get enough blood to the rest of your body. In some cases, there are no symptoms at all. To diagnose VT, your healthcare provider may order an EKG (electrocardiogram). This test records your heartbeat’s rate and rhythm. Your provider may want to closely watch your heart’s activity for a longer period of time. Then you may need to use a holter monitor or an event monitor. These are small devices that you wear while doing your normal activities. In some cases your provider may think you have VT, but hasn’t been able to document it. Then a tiny heart recording device can be implanted into your chest. It can record heart activity for 1 to 2 years. If you do have symptoms, your healthcare provider might prescribe medicine (a beta blocker or antiarrhythmic medicine) to control your heart rhythm. For VT that is long-term (chronic) or life-threatening, an implantable cardiac defibrillator (ICD) may be used. This small device is implanted into your chest. It is connected to your heart with wires. When an abnormal heartbeat occurs, the ICD sends out an electric shock to restore your normal heartbeat. Some VT may be treated with catheter ablation. This procedure uses radiofrequency energy to destroy the abnormal heart tissue that is causing the rapid heartbeat. What are the complications of VT? Some people may have mild symptoms from VT, or no symptoms at all. But for others, VT can be very dangerous. It can lead to sudden cardiac arrest and death. For some people, caffeine or alcohol can be a trigger for VT episodes. Avoid these things if they affect your VT. If your healthcare provider diagnoses VT, follow his or her treatment plan closely. Take all medicines as prescribed. And tell your provider about any medicines you may be taking for other health problems. Discuss your alcohol, tobacco, or caffeine use with your medical team. These things can contribute to an irregular heartbeat. Ventricular tachycardia (VT) is a fast, abnormal heart rate. This may last for only a few seconds or for a longer period of time. VT that lasts for only a few seconds may not need to be treated. Longer episodes of VT are dangerous and must be treated. Some heart problems can lead to VT. 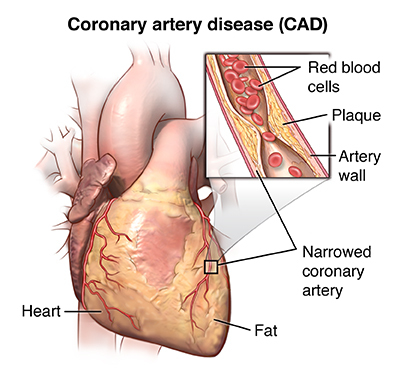 Treatment may include medicines or an implantable device to check and correct your heartbeat. Seek immediate medical help if you feel lightheaded or dizzy, or have chest pain or a lasting rapid heartbeat.